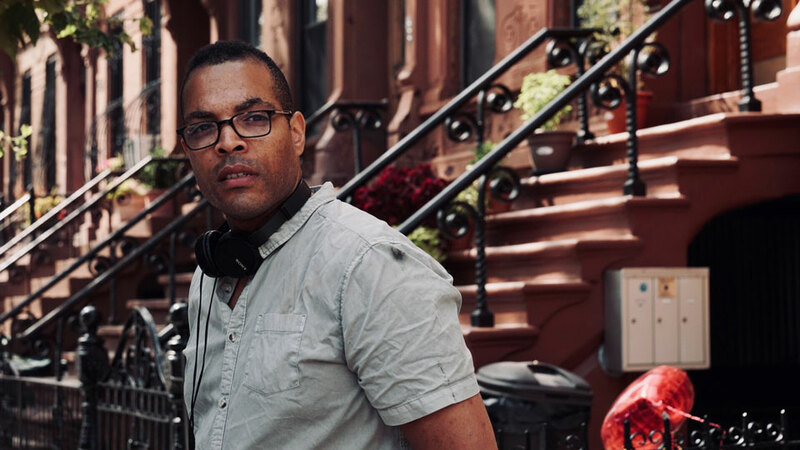 From almost professional baseball player to teacher and then to Wall St, Reinaldo Marcus Green has taken a very long road to get to film director. It might be fair to say that having those different perspectives on life is a theme that repeats itself throughout his powerful debut new film, Monsters and Men. 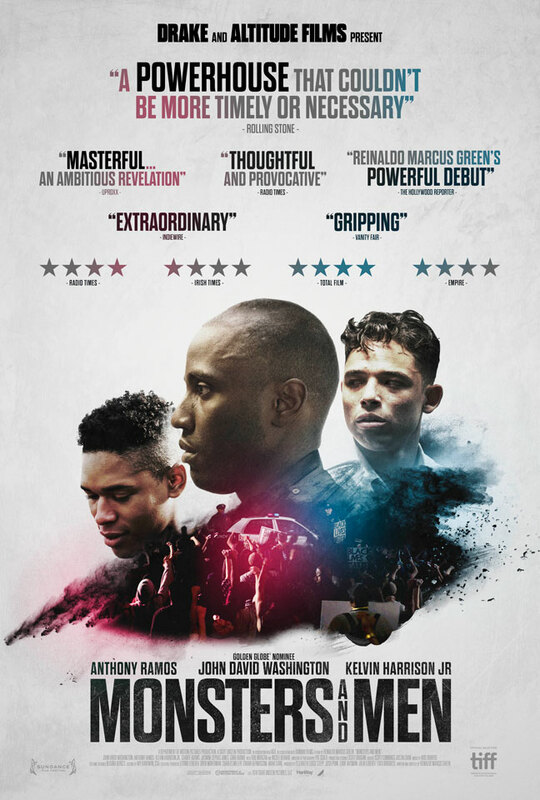 The film follows the stories of three characters in a Brooklyn community dealing with the aftermath of a police shooting of an unarmed black man. The first is a young man trying to keep his head above water for his family who films the shooting on his cell phone (Anthony Ramos). The second is a black cop on the beat that has to deal with the aftermath of the shooting and his own conflicted feelings about what happened (John David Washington). 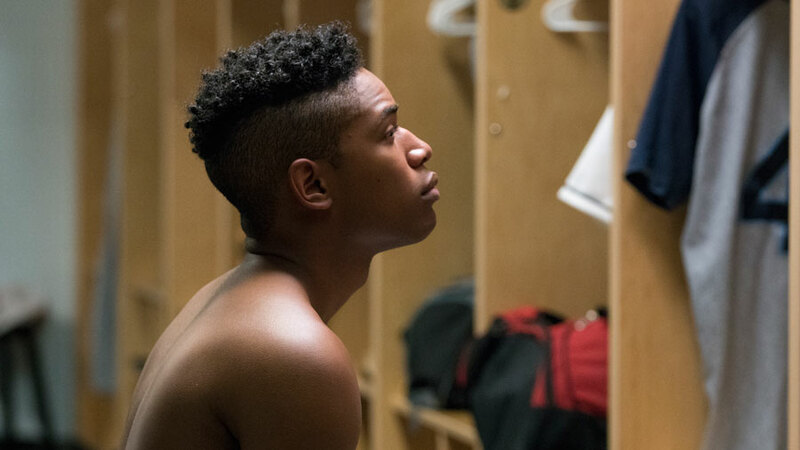 The last follows a young baseball prodigy, much like Green himself, who struggles to find the right way to respond to the shooting (Kelvin Harrison Jr). Each of these characters reacts differently to the incident and their perspectives sometimes rubs people the wrong way – as the black cop soon finds out at dinner with his friends and loved ones. Each story gets its equal share of time on screen to build into a creative, visually stylish and compelling film. The main reason for that is Green’s approach to making a film that wasn’t going to be two dimensional in telling its story. It’s clear he also wanted to explore the after effects that ripple throughout a community long after the news cameras have gone. The film was so well received in the US that it not only picked up a special jury prize at last year’s Sundance Film Festival, it also picked up a new producer, recording artist Drake. So when Reinaldo hit London ahead of today’s UK release we had to say hello. Congratulations on the film’s success. Thank you. We released the film in the States in October to great critical success so for a first time feature film, we’re doing alright! We’re really excited about how it will play to UK audiences. You’ve said that a lot of Monsters and Men was informed by where you grew up because it was an environment that had a racist undertone. Yeah, I grew up in Staten Island and around then it would have been 90% Trump [voters]. Lot of fireman, lot of police officers. But that was just the environment and I became accustomed to how people communicated around me. Did you ever feel compelled to fight back against it? It’s interesting. I didn’t realise they were racist until I was older. Getting an education opened my eyes. The things that used to be subtle started coming into focus. In particular, I grew up with a friend who’s a cop now who acted in one of my short films that went to Sundance. We started talking about the Eric Garner case one day because it happened right where I used to deliver pizza. But we saw two totally different things looking at that video. We just got into this back and forth that became a heated debate that ended up becoming the dinner scene in the film [with the black cop]. Now, my friend is a white cop but early in the casting process I wanted to cast a black actor so the issues wouldn’t get lost in a ‘oh, it’s just a black and white thing’. It made things more complex to have that character be a black police officer. That way we could talk about the real issues, the systemic issues, and not have that message be lost in finger pointing. The film seems to not want to pass judgments or preach solutions either. It just puts the reality out there so the audience can draw their own conclusions. Was that deliberate? Yeah, absolutely. I wanted to remain objective in that way. The film revolves around these characters that we often forget about. We know about the tragedies and we know about the movements but we forget about the people’s lives that are affected and how communities are ripped apart. So I wanted the film to pay tribute to those folks but also to not pass judgment because, at the end of the day, things are grey. Are there are good police officers out there? Absolutely. But the system’s broken and we have to do something. I hope people see themselves in the film. You know, I’ve gained a little bit of weight recently but I don’t really notice it until I look in the mirror and say, ‘Ohh, that’s me’. Now that I’ve seen my reflection I have a choice about whether I choose to be complicit by inaction or I do something. That’s the way the film is presented and I hope folks can take something from it. How have the policing community reacted to the film? Hey, we had real cops in the film. We had to engage with them to make the film and we had their full support. And after they had seen the film? The cops that were in the film have seen the film and the reaction’s been positive. Look, the film definitely tries to get to the heart of the problem and most police officers want to fix the problem. But if the system pays your bills then you have to work within the rules of the system. Listen, you may not agree with the NFL but when the NFL pays you your cheque and you see what they did to Colin Kaepernick – what do you do? Is that why it’s important to speak to wider audiences, so there are a few more Kaepernicks? I hope that people of all races can understand and relate to this film. You could be a young white kid with weed walking home and may never have experienced the harassment shown in the film. But that kid could see himself in that position and realise, “Oh, wow. I got away with that! Imagine if I was a little darker?” People can put themselves in other people’s shoes. It certainly spoke to the people at Sundance. And that led to Drake becoming a producer on the film? Yeah. Drake’s manager, Future, was at the premiere at Sundance. He saw it and I guess he called Drake and told him he had to watch this movie. Then once our US distributor came on board they all spoke and I get a call saying Drake wanted to be involved with the film. That was crazy! I heard the story about how he saw it, loved it and wanted to be a part of it. Then it was just figuring out how to support it. Listen, he’s been talking about these issues long before Monsters and Men and I think because he’s moving into film and television he was trying to find the right project to start with. I think Monsters and Men became that launchpad. Monsters and Men is released in the UK today but what comes next for you? Actually, I’ve just finished directing the first couple of episodes of season three of Top Boy with Ashley Walters and Kano for Netflix. That will be released in the fall. It’s the same writer as before, Ronan Bennett, so it was a really incredible opportunity. And I’m also attached to a project about the boxer Jack Johnson who was basically Ali before Ali. Ironically, Jack Johnson, who was convicted and served a prison sentence in 1913 for taking his white girlfriend across state lines, was posthumously pardoned for the ‘crime’ by president Donald Trump early last year. So just like the themes in Green’s Monsters and Men, things are never quite as black and white as they first seem. It’s what makes it the award winning film worth seeing. Monsters and Men is released in cinemas and on streaming services today.